William Knowles was born in the 1st quarter of 1881 at Petersfield, Hampshire to general labourer Charles Knowles and Annie Harries. William´s father Charles Knowles was born in the 2nd quarter of 1850 in Buriton, Petersfield, Hampshire to carrier William Knowles, born about 1811 in Rogate, Sussex and Martha Knowles, born about 1811 in Emsworth, Hampshire. William´s mother Annie Harries was born about 1854 in Stackpole, Pembrokeshire. William Knowles and Annie Harries married in the 1st quarter of 1880 in Petersfield, Hampshire. William Knowles had seven siblings of whom five are known: Charles Knowles born about 1882 in Betchworth Surrey, Alfred born about 1884 in Betchworth Surrey, Annie Knowles born about 1889 in Betchworth Surrey, Agnes Knowles born about 1892 in Betchworth Surrey, Thomas Fredrick born about 1894 in Bethworth Surrey. At the time of the 1881 Census, the family lived at Ship Street in Petersfield, Hampshire. Charles was working as a general labourer and Annie was looking after their son William Knowles. At the time of the 1891 Census, the family lived at Gadbrook Lane in Brockham, Betchworth, Surrey. Charles was working as a general labourer and his wife Annie was looking after their children William, Charles, Alfred and Annie. The household also comprised of Charles´ nephew Thomas W. Preece. William Knowles was educated at Betchworth Village School and as a lad he was employed by Mrs C. Harman. He was for many years under gardener at Morden Grange. William´s father Charles Knowles died in the 2nd quarter of 1899 in the registration district of Reigate, Surrey. He was buried on the 21st of April 1899 at St Michael´s in Betchworth. At the time of his death, he was living in Betchworth. At the time of the 1901 Census, the widowed Annie lived with her children gardeners William and Charles, Annie, Agnes, Thomas Fredrick and foster son Alfred Balcolm at Gadbrook Lane in Brockham, Betchworth, Surrey. 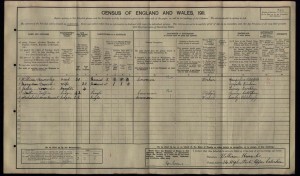 William Knowles married Mary Ann Dickens by Banns on the 16th of April 1906 at St Michael´s in Betchworth, Surrey. At the time of the marriage William worked as a gardener and lived in Betchworth. 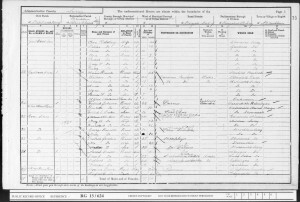 Mary Ann Dickens was born about 1881 in Binham, Norfolk to soldier Robert Dickens (born about 1834 in Binham) and Sarah Dickens (born about 1841 in Stamshaw, Portsmouth). By the time of the 1911 Census, William Knowles and his wife Mary Ann moved to 14 High Street Upper Caterham in Surrey. 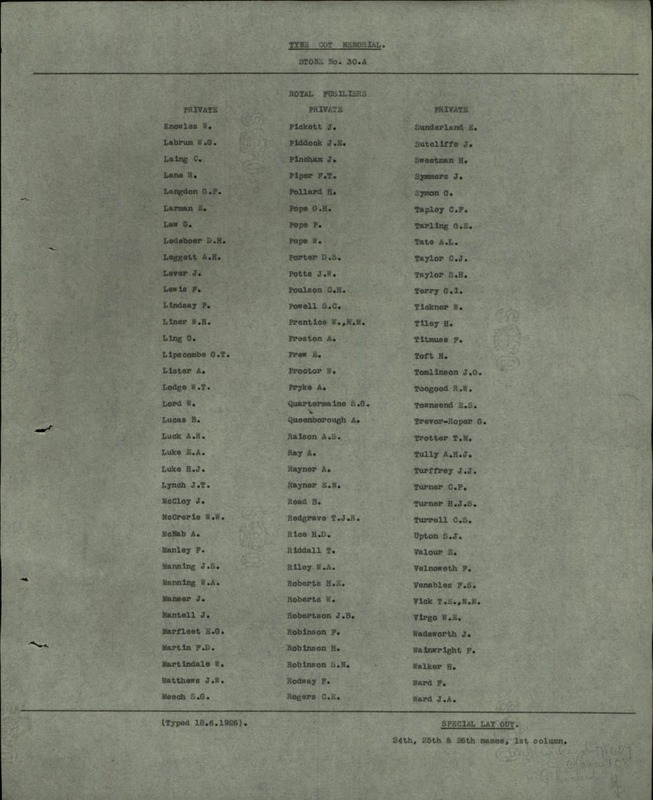 The couple had a daughter Jessie born in the 3rd quarter of 1906 in Brockham, Surrey. William Knowles was working as a cowman. The accommodation had four rooms. The family also had two lodgers, who also worked as cowmen. 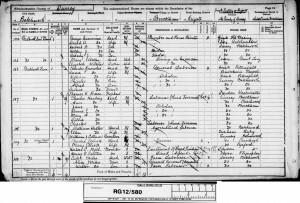 At the time of the 1911 Census, William´s mother Annie Knowles lived at Oakdene Road in Brockham, with her son: groom Thomas Fredrick. The accommodation had four rooms. Annie was stated to have given birth to eight children of whom five were still alive at the time of the Census. William´s daughter, Jessie Knowles of Caterham, died at the age of six. She was buried on the 30th of November 1912 at St Michael´s in Betchworth. At the time of his death, William was a member of the 11th Battalion Royal Fusiliers. 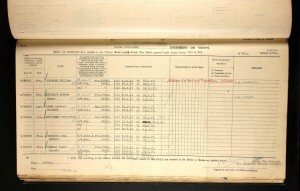 His regimental number was 65361 and he was a private. William enlisted at Guildford, Surrey and at the time of enlistment lived at Caterham, Surrey. His previous regiments were the East Kent Regiment, regimental number 17802, and the 4th Battalion Royal Fusiliers, regimental number 65361. 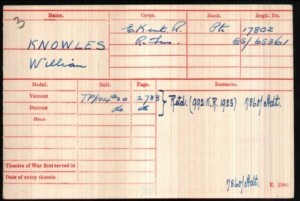 William Knowles served in the Western Theatre of War. He was part of the East Kent Regiment from the 8th of December 1916 to the 18th of April 1917 and the 4th Battalion Royal Fusiliers from the 19th of April 1917 to the 28th of August 1917. William was transferred to the 11th Battalion Royal Fusiliers on the 29th of August 1917 and served there until his death on the 18th of October 1917. William was killed in action on the 18th of October 1917 in Belgium. He is commemorated on panels 28 to 30 and 162 to 162A and 163A at Tyne Cot Memorial in Belgium. William is also commemorated at Oddfellows Hall in Dorking, Surrey as a member of Loyal Duke of Edinburgh Lodge. William´s wife Mary Ann Knowles received £1, 15s and 11d on the 19th of February 1918 and £4 on the 13th of November 1919 in Soldier´s Effect´s. William´s mother Annie later lived at 37 Falkland Road in Dorking and his wife Mary Ann at 7 Old Gatwick Cottages in Horley, Surrey. William Knowles was awarded the British and Victory medals.